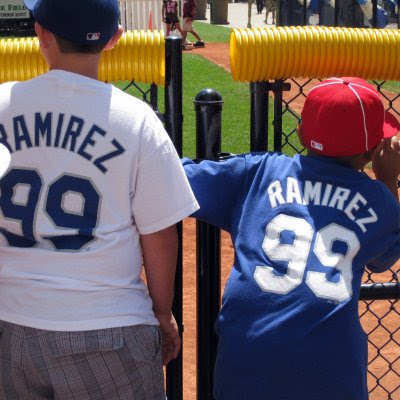 At the ballgame, it's all about Manny, this week. Baseball fever here too! Too bad I won't have a chance to get down to Busch Stadium for my red pictures. I'll have to dig up something else. There's only so many things that are the epitome of summer: ice cream, splashing in the pool, & BASEBALL! Wow, these boys are not in our world, that's for sure. 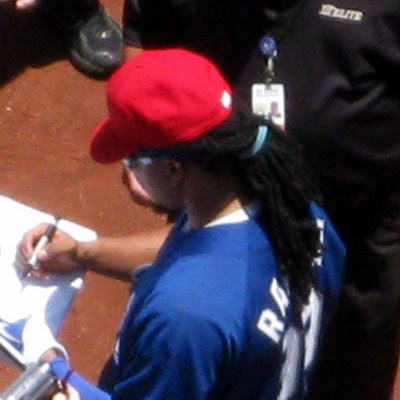 Is it the actual Ramirez himself signing autographs? I love to see shots like, I feel like I am right there with you!